T and I woke up around 4am Saturday in order to get to the VA Beach Convention Center early enough to get a parking spot there, especially since Hurricane Sandy forced the post-race party indoors. When we were almost halfway there, I realized I had forgotten the Garmin. I was a bit angry because I am a little obsessed with knowing my pace. I got over it. We actually got there about 30 minutes early, but luckily the convention center lobby was open so we just waited until 6:30 to pick up our packets–then it was in-out, and after a quick stop at the “expo” where T bought an iPhone arm strap so I could know the pace, we headed back to the car to listen to some Ben Bailey stand up <— sooo funny, btw. We waited in the car until about 7:45, then got out to start getting used to the chilly air temperature and the wind. The air wasn’t actually that chilly, I think at start time it was 66 degrees, but the wind was strong. 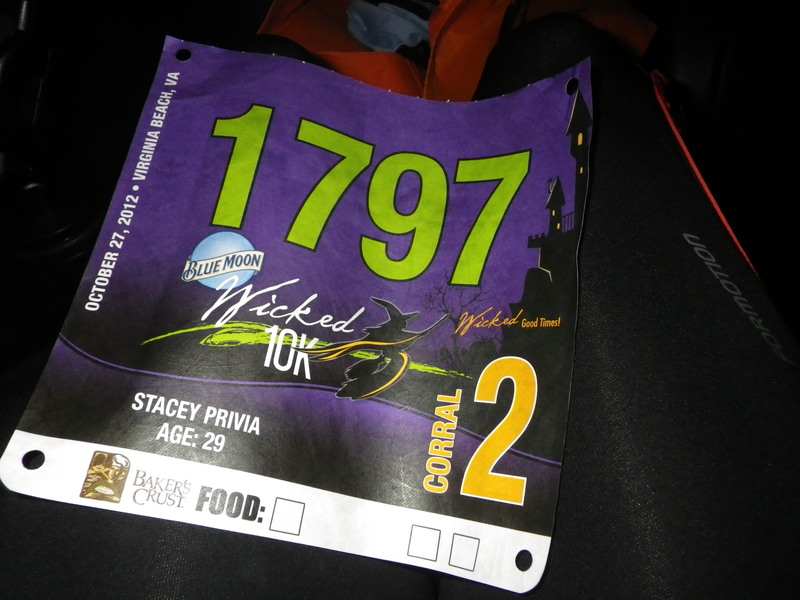 We ended up starting Corral 3 even though my corral number was 2, because–and now I know this–I overestimated my time thinking I would finish slower than the time I predicted when I signed up for the race. The race started at 8am, and had a staggered start–I think by 1 minute or so–when it was our turn to go we went. And I mean we went–I’ll admit to starting out a bit too fast, but my logic was–it’s not so windy right now, so I’ll get my speed in while I can. It turns out we kind of just kept that pace the entire race–with some negative splits possibly (unfortunately T’s phone died, so I didn’t get to see the mile splits–oh well). We hit the first part of the boardwalk and the wind wasn’t too bad, but that changed when we were back on the road, especially between hotel buildings. Between miles 3-5 there was a monster of a headwind, but nothing was slowing me down. When I saw at mile 4 we were at 35 minutes, I knew a sub-55 was going to happen. 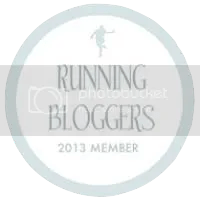 I just knew it, and I just kept telling myself only 2 more miles, only 1 more mile….and eventually–ahhh the finish line!! I sprinted my heart out for the last 0.2. 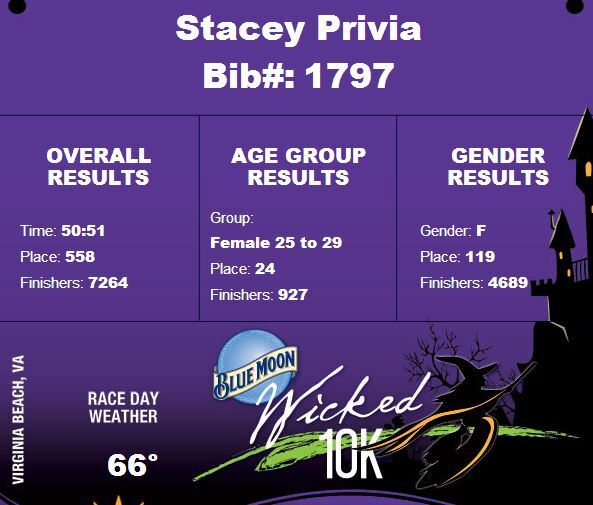 I was approaching the finish line and saw 53:– on the time clock, I had huge smile on my face and I felt my eyes tearing just a little–OMG this is happening (the same thing happened when I did sub-1:55 at the Shamrock Half when my goal was sub-2:10). I crossed then shortly after T crossed (like less than 10 seconds later). Holy crap! My goal was sub-1 hour, my ultimate goal was sub-55 minutes, and I ALMOST ACHIEVED SUB-50 MINUTES!!!! Well now I know what next year’s goal will be! 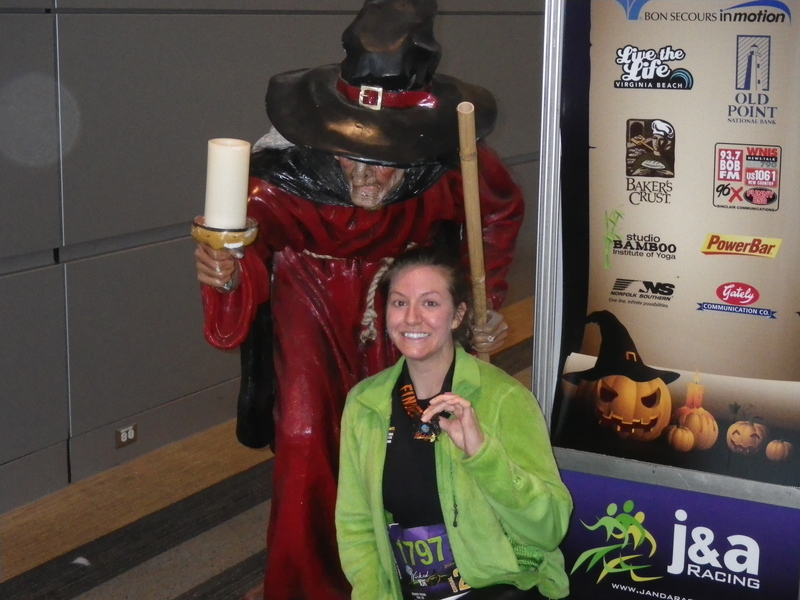 After we collected our medals and got a banana, we walked back to the convention center for the post-race party. 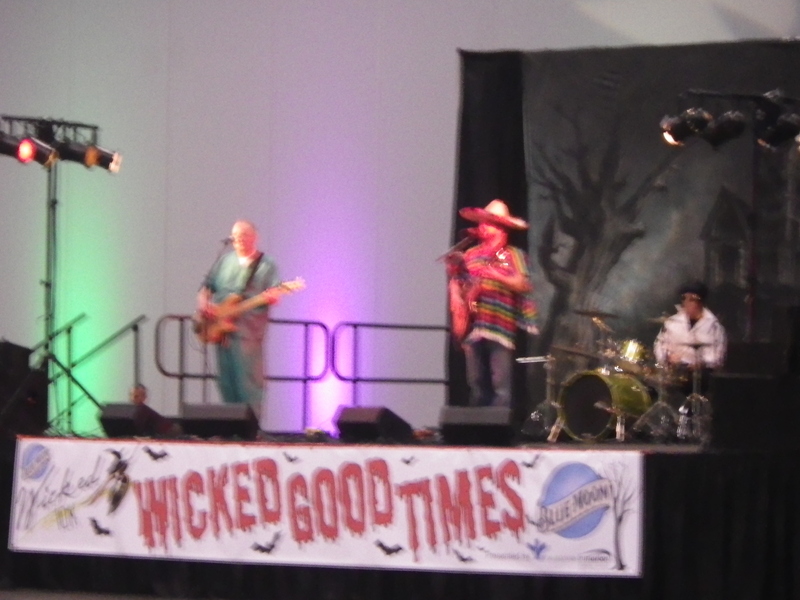 They did a very good job moving it indoors, and unlike previous years, it wasn’t super-crowded. Because I finished quicker? Probably not, probably because people were getting home to prep for the hurricane, but I like to think it was because I got faster. 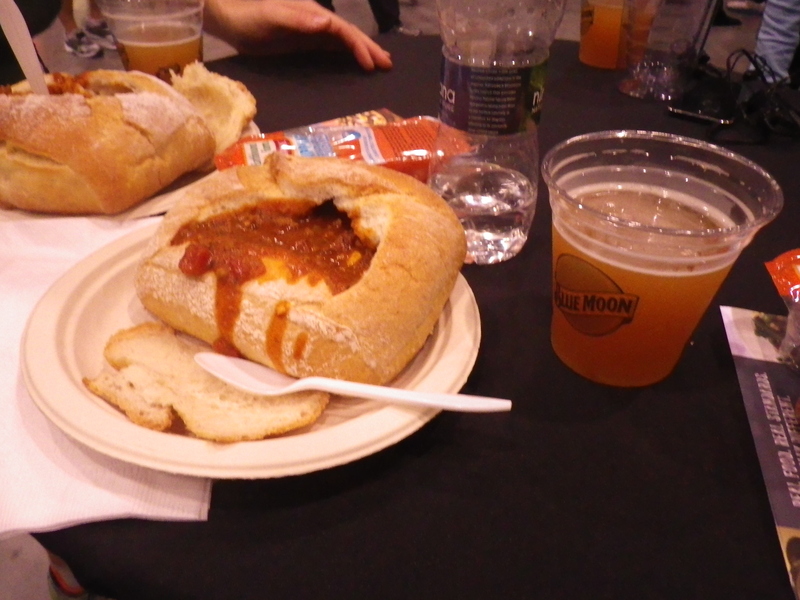 We got our Blue Moons, our Baker’s Crust chili bowl and found a little table to eat and listen to the band, Rock Star Crossing. Yes, I know the picture is blurry, but I can’t hold a beer, carrot sticks, and take a decent picture. 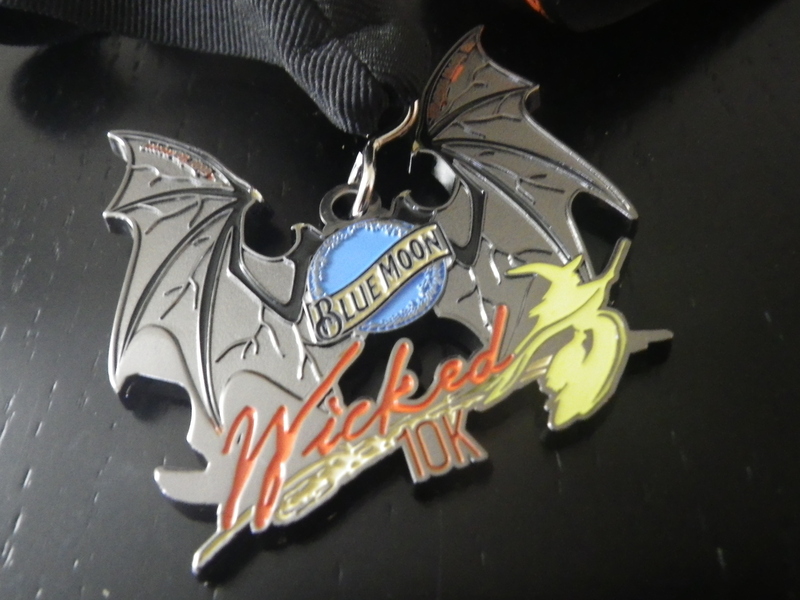 See you next in 2013, Wicked 10k!